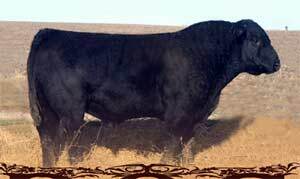 Proven calving ease sire, normal birth weights are 65 - 75 lbs. Works well on club calf sired heifers. Doc females are turning into excellent mothers.